Greenwood Village offers 2 and 3 bedroom townhomes ranging from 1050 to 1200 sq. ft. Beautifully landscaped with plenty of green space Greenwood Village has so much to offer. Elementary Schools close by is a great benefit for those with young children. Greenwood Village is a beautiful townhouse community sitting on several acres of land in Sherwood Park. Resident management and staff take excellent care of the grounds, lawns and flower beds. Lawns are cut and edged regularly. Large Suites include 1 and ½ baths, family size fridge and range and hook ups for washer and dryer. Full basement, patio, fenced yard with storage shed and 1 powered parking stall. Upgrades include European cabinetry in kitchen and bathrooms, cultured marble countertops and tub surround. 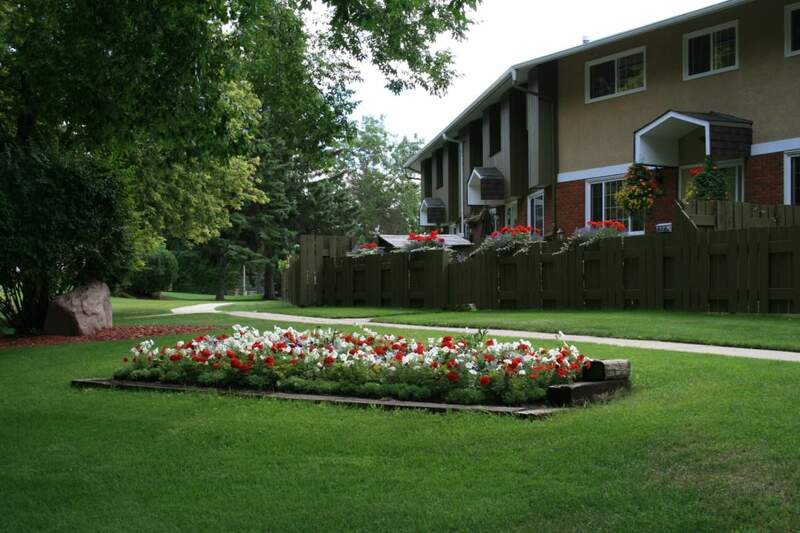 Greenwood Village is located in a quiet residential neighbourhood close to schools and parks. On bus route providing easy accessible transportation. Major shopping areas with plenty of amenities are just a short drive away to the east, north and south of Greenwood Village. Convenient access to neighbourhood strip mall. Schools in the immediate area are Westboro Elementary and Madonna Catholic School.